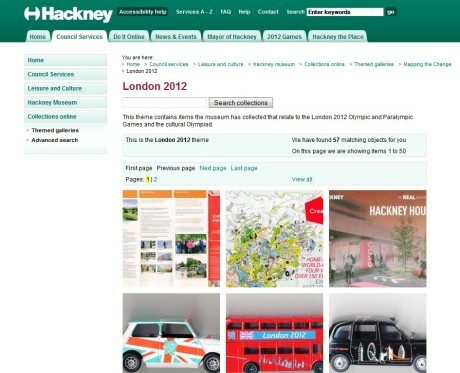 The Hackney Museum uses MuseumIndex+ for their collections management. We also delivered our CollectionsOnline website which gives controlled public access to the collection and enables authoring of extra narrative and content to guide users into and around the collection. One of the key achievements in developing this site was embedding it within the standard Hackney Council design and header/footer set-up. When the museum opened there was some press coverage such as this article in the Hackney Gazette.